How Should you Prepare your Voice for a Vocal Performance? We all know that hydration is good for the voice (and if you don’t know, now you know: DRINKING WATER = A HAPPY VOICE AND A HEALTHY SINGER), but what is the best, quickest way to ensure that your body is adequately hydrated? In this article, we will discuss the different techniques that you can try to help keep your voice in tip-top shape and ready for a performance. When you drink water, the water does not actually touch your vocal folds or moisten them directly; the water goes down your esophagus and into your stomach, where it will eventually contribute to your overall hydration, including your vocal folds. If you’re drinking enough water and treating your voice right, steaming shouldn’t be necessary! If you know you are going to be singing, plan to drink plenty of water in the days leading up to your performance (chugging a glass of water right before you sing certainly will not hurt you, but it will not necessarily have an immediate effect on your voice). There is, however, a way to get the water directly to your vocal folds, and that is steam. Have you ever noticed that after a hot shower, a hoarse voice sounds and feels markedly better? That’s because inhaled steam directly touches your vocal folds, providing the moisture needed to for them to do their job without strain or injury. Inhaling steam can be beneficial when you are sick, when you have lost your voice, or when the climate is especially dry. 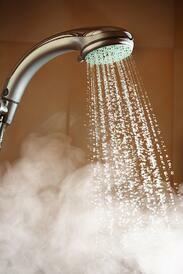 As mentioned above, a hot shower provides steam (though often not enough to make a big difference to your voice). Another tried and true method is boiling a pot of water, removing it from the stove, using a towel to contain the steam, and putting your head under the towel. If you don’t own a personal steamer and need a lot of steam in a pinch (say, if you wake up sick the day of a performance), this method can be a lifesaver—just be careful not to burn yourself! Buying a personal steamer from a drugstore can be a great investment for singers. If you follow some of your favorite singers on social media, you may see them inhaling steam, or “steaming,” in their dressing rooms between performances or before a long day of singing. Personal steamers are certainly a convenient alternative to the boiling pot of water because the steamer regulates the output of steam into a gentle flow, and the plastic piece that fits over your mouth and nose ensures that you breathe in the steam easily. They are portable, quick, and produce a good amount of steam. Certain times of the year or high altitudes can be especially dry, which will affect your voice. If you wake up with a dry throat every morning during the winter, a humidifier is a great way to get more moisture into the air. Just make sure that you keep your humidifier clean; some models make this tricky! 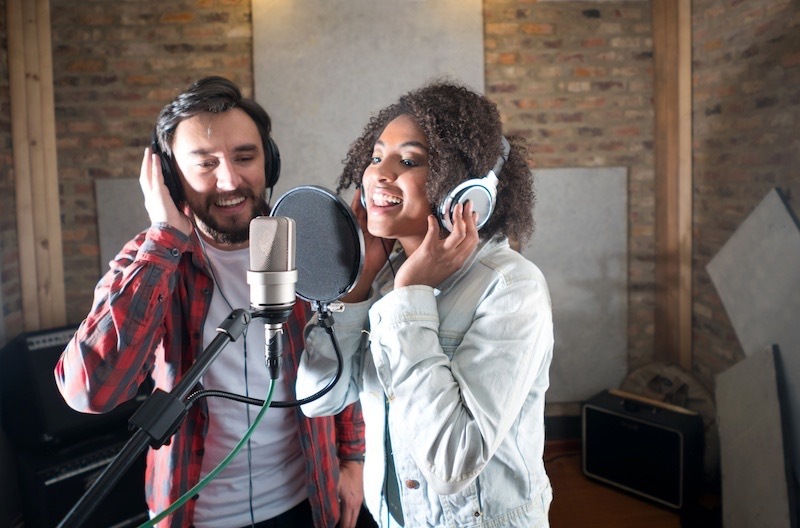 Using a steamer is a great way to quickly and directly hydrate your vocal folds, especially for singers or other performers who use their voices in demanding and extraordinary ways. However, this is not an alternative to drinking plenty of water! You’ve probably heard it a million times already, but it bears repeating: you should be drinking at least eight 8-ounce glasses of water a day (and if you are doing things that dehydrate you-- drinking alcohol, smoking, and/or consuming a lot of caffeine-- you might need to drink even more water than that). Interested in learning more about how you can improve your singing voice? Check out the rest of our blog posts! 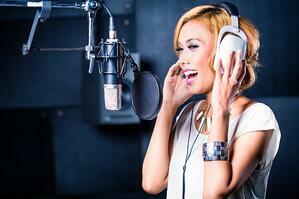 Think that you are ready for a career as a professional vocalist? Hop on over to our voice program page and learn how the professional voice staff at AIMM can help your career blossom. Did you miss the Atlanta Institute of Music and Media's Open House Saturday, February 23rd? Click Here to schedule a private tour. Definitely check out AIMM, get a good tour of it, go to Open House, go to the orientation, and you'll find that it's really professional. All the instructors really know what they're doing--they're all industry professionals and have been for years. You get a lot of hands-on activity and a lot of time to work on your projects on all the gear. If you're going to go to any music school, AIMM is the one to choose. Since graduation, I've gotten all my work through AIMM...So, this is the place to be. AIMM was one of the best choices I've made. Honestly, AIMM is very high level...it's something that I'm impressed with, would recommend, and would have wanted to come and study at in my younger years. Keep track of AIMM on all your favorite social networks. Copyright © 2016. Atlanta Institute of Music and Media. All rights reserved.